Employee monitoring software provides businesses with the ability to record employees interactions with customers to ensure the quality of service is up to par and ensure employees are using time productively. These solutions can log phone calls, emails, social media interactions, and live chats to make sure that specific strategies are working and ensure employee quality. Employee monitoring products are most frequently used by managers of customer service teams to make sure representatives are working appropriately and to the best of their abilities. The solutions can also benefit sales teams that are implementing new pitches or approaches to establish that proper messages are being conveyed to prospects. These products allow organizations to be agile and quickly determine which methods are working and pivot depending on the level of success. Most frequently implemented alongside contact center software, employee monitoring software can also be used alongside live chat and outbound call tracking products. Employee Monitoring reviews by real, verified users. Find unbiased ratings on user satisfaction, features, and price based on the most reviews available anywhere. 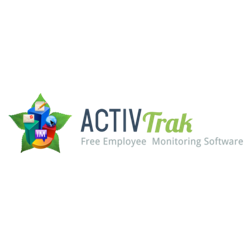 ActivTrak is a cloud-based employee monitoring software that allows organizations to understand how their employees get work done. ActivTrak provides aggregated data that quantifies employee productivity. This gives employers and managers the insight they need to improve employee performance as well as keep track of sensitive internal information and improve operational efficiency. The software is easy to install and the data is available within minutes with preset reports ready for review. Are you currently conducting quality evaluations on your service team? Are your growth and high amounts of customer demands affecting your service? Running quality assurance on spreadsheets is difficult to control, not scalable and not accurate enough for you to make decisions on what needs to be improved and what’s truly important to your customers. Centralize, filter, and prioritize all your interactions to identify where the real problems are. PlayVox is a quality assurance software for customer service teams. By using PlayVox you can manage all your quality operations to easily pinpoint customer service issues and take real-time action such as coaching, training and motivating agents to drive continuous improvement. VirtualLogger LLC provides call recording, quality monitoring, post-call surveys and e-coaching technology to contact centers on a hosted basis. Our "pay as you go" approach is designed to dramatically reduce the cash investment required for recording and QA systems and related technology. In addition, because we maintain the database and application software from our central operation center, clients can access their recordings, call evaluations, coaching content and other data from anywhere. As part of Aspect's workforce optimization suite, Aspect Quality Monitoring offers call recording capabilities which monitor agent audio and screen interactions in real time, and which calibrate agent quality scores to ensure consistency and fairness. Automate the quality process with advanced analytics to sample 100% of calls and perform ad hoc searches on interactions using keywords and phrases..
Flextivity Complete is a cloud-based security and activity monitoring solution that helps business owners protect their company Macs and o ce networks while giving them powerful tools to impact the security and productivity of the individuals within their company. Aobo Keylogger for Mac OS X is a parental control and employee monitoring app. Berqun gives quantifiable insight into how your employees spend their time at work. These insights allow you to confidently identify low performers and enable you to jointly take action towards higher productivity. Bodi is a cloud-based software with real-time alerts for unusual computer activity. It continuously records HD video for playback to help reduce audit costs and allows for remote access to improve support times. BrowseReporter captures the websites your employees visited. It includes a powerful reporting utility for generating tabular and graphical websites visited reports. It runs in stealth mode. Cicero Insight provides activity intelligence by capturing, storing, and reporting activities and events across applications, time and users to map employee effort and highlight areas of improvement in business processes, compliance, training, and application utilization. Refog Employee Monitor tracks employee internet usage and their online activities, helping organizations reduce time wasted in social networks, chats and non-business activities. iMonitor 365 is a software for the employee monitoring, for enterprises, education and government sector. It protects the confidential data and generates the record and alert on copies data to the USB. Kickidler is the employee monitoring and user activity tracking software of the new generation. Kickidler sowtware is a powerful tool for automation of control of personnel, information security and increase in business efficiency. Main Kickidler features: online monitoring of computers, recording and playback of employees’ history of activity, analysis of efficiency, timetracking and also information security. Besides, Kickidler can be useful for optimization of communications inside the company and analysis of activity. Recite is an interaction recording suite designed to help boost business success and ensure compliance. SentryPC is a completely cloud-based computer monitoring, content filtering, and time management software wrapped into one. SoftActivity is an employee monitoring software that can record and display emails, chats, keystrokes and all reports in any language. SQmediator® Symphony is a suite of performance management applications for Voice over IP and IP videoconferencing. SQmediator is a sophisticated multi-user management system that supports both passive QoE monitoring and active testing, and provides per-location or per-customer dashboards. SQmediator Service Provider Edition is a highly scalable multi-server management application that supports multiple services, aggregation for customer locations, and a web services API for integration with back-end applications. The Service Provider Edition supports millions of subscribers and thousands of customer locations. SQmediator Enterprise Edition is a scalable multi-server management application for large enterprise, providing aggregation by location, SNMP trap generation and Email alerts. The Enterprise Edition supports hundreds of thousands of users and thousands of locations. SQmediator Business Edition is a cost effective single-server management application for mid-sized enterprise and call centers, supporting thousands of users and hundreds of locations. SQmediator Small Business Edition is a low cost single-server management application for single location businesses with hundreds of users. All editions of SQmediator support definition of service quality thresholds, SNMP trap and email alert generation, secure multi-user browser based user interface, advanced interactive dashboards with rapid drill down for troubleshooting individual calls and a range of other features. One Step Easy Web-based Monitoring. Results in the Cloud. Reports in Your Browser. WorkTime is a top quality employee monitoring solution designed to improve employee productivity by delivering highly informative data. WorkTime is trusted and successfully used by many organizations worldwide. 20+ years on the market. WorkTime is monitoring software to monitor employees’ productivity, computer, software & Internet usage. WorkTime captures factors affecting productivity: poor attendance, idle times, personal Internet use (Facebook, news, e-shopping, online games, browsing, searching for a new job etc. ), personal software use (games, non-business software). WorkTime records every minute of work and provides all kinds of analytical data: from general summary to very detailed logs. WorkTime is designed for Windows, Terminal Server, Citrix, Mac, Virtual environment. It can be used on-premises or in cloud. Track and manage labor, assets, forms and productivity all in one inclusive solution. AnalytixMachine is a talent management software that tracks employee efficiency, workforce behavior, productivity, and helps plan using data analytics. HigherGround’s Calibre product suite offers a unified call recording, agent evaluation, and reporting solution for multi-source contact centers. High-tech products have complex development cycles involving multiple design revisions and cross-functional teams. The risk of inefficiencies, wasted engineering effort and product delays can be high. Cognidox helps overcome these risks. We are a leading provider of document management software for the high-tech product sector. Our solution improves visibility and control for the development process and the entire business. CXM provides call recording plus quality monitoring solutions for workforce optimization, including contact center and VOIP call recording software. Easemon to monitor and control on unethical activities on job premises. Automatic mail alert sends to the authorized person when inappropriate activities detected. EmployeeTrail helps to track applications used by your employees in the work hours and identifies productive hours and non-productive time. Non-productive time is classified as time spent in distractive non-productive work activities like personal web browsing or using office resources for personal use. E-XMS creates ASDR (Application and Services Detail Record) combining location, subscriber, network, and service performance for every subscriber call, session monitoring and the ability to monitor and analyze hundreds of thousands of RTP streams. Fin logs a continuous video and full action stream of your operations work. Get a clear view of your team's day-to-day work to unlock their full potential. The plug and play location stack or your app. iKeyMonitor is designed as an iPhone Monitoring App and Android Monitoring App. It is widely used as a Parental Control App for iPhone/iPad/Android that monitors Surroundings, Calls, Clipboard, Voice messages, Photos, Videos, SMS, GPS, Geo-fencing, Chats, Websites, Keystrokes, Screenshots, blocks apps and games, and limits screen time. Majuda's call recording and quality management products guarantee a measurably streamlined process, improved customer service, and liability control. MiaRec is a compliance call recording and quality management solution for unified communications. Who Uses Employee Monitoring Software? Before choosing employee monitoring software, employers should figure out what exactly needs to be monitored and how deeply. Employers also need to consider several factors before committing to an employee monitoring solution, such as the workforce size (remote and in-office) and overall budget. Employers with a call-center workforce may want to consider a solution with phone call monitoring. Employers with a remote workforce may want a comprehensive solution with internet usage tracking. Above all, employers should consider how closely to monitor employees and ensure employees are comfortable with the chosen solution. Employee monitoring software allows companies to track the quality of an employee’s work and the amount of time an employee spends working. Reports highlight the most productive employees, helping companies visualize the productivity of everyone on their workforce. Monitoring doesn’t just put a spotlight on employees that are struggling to focus on work, but it also shows who the best performers are. Productivity Insights — By watching and managing how an employee spends their time, managers can measure performance and time wasted during work hours. Project Focus Insights — When managers are aware of what project an employee is focusing on, they can take the opportunity to pivot the employee’s focus when necessary. For example, if a manager notices an employee prioritizing one task over another task with a closer due date, the manager can confront the employee and request them to turn their focus on a task that requires immediate attention. Many types of employee monitoring software can be integrated into project management software solution to streamline this process. Security Insights — Employee monitoring opens up the opportunity to prevent and track employee-related security issues. If a company’s network is compromised, email and internet usage monitoring can pinpoint where and when a security breach happened. Additionally, phone calls can be monitored to ensure employees are not sharing sensitive information or accepting sensitive information from customers. Workforce Transparency — Overall, employee monitoring provides added transparency for management teams. Monitoring gives a high-level view of the overall productivity and roadblocks employees face and allows room for productivity improvements. All types of management positions benefit from monitoring their employees. The most beneficial aspect of monitoring is the encompassing productivity reporting that gives managers an idea of how their team is performing on day-to-day tasks. This knowledge allows managers to assign tasks based on the performance level of each agent, figure out which tasks certain team members excel at, and figure out potential time-wasting productivity blockers during working hours. Device Monitoring — Phones and computers can be monitored by managers to keep track of employee calls, emails, and general internet usage. Features like URL blocking can prevent employees from spending time on websites that are not appropriate in a work setting. Customer Interaction Monitoring — Customer interactions can be monitored to ensure the employee is communicating to customers in a correct, efficient manner. Managers can use insights to see where an employee needs improvement when speaking to a customer over the phone, email, or live chat. Call Monitoring — Call monitoring allows employers to log and listen in on employee phone calls. Calls are analyzed to ensure they are up to company standards. Email Monitoring — Email monitoring lets employers log email activity of employees. Internal and external communications can be analyzed in an effort to ensure the employee is sending appropriate deliverables and communicating in a manner that is up to company standards. Internet Usage Monitoring — Web monitoring allows employers to observe what web pages employees are visiting and for how long. This gives additional insight into where time is being spent most and if an employee is spending an excessive amount of time on websites that are unrelated to work. Screenshots — Screenshots provide extra context into internet monitoring. Employers have access to real-time views of an employee’s computer screen. Screenshots give extra insight into whether or not the webpage an employee is visiting is appropriate in a work environment. Time Logging — Employers can view how long an employer is spending on a specific project or webpage, measuring task efficiency. Task Tracking — Employers can visualize what task the employee is focusing on, which allows managers to step in and communicate task changes to the employee. Reports — Detailed reports involving all of the employee monitoring features give overall observation into the productivity of an entire workforce. Employee Wellness Tracking — Companies may take a technological step toward ensuring employee wellness with activity trackers. Oftentimes in the form of a bracelet, activity trackers measure an employee’s heart rate, fitness, and sleeping patterns. While this doesn’t provide insight into workplace efficiency, it does allow employers to provide a wellness program to their employees in an effort to promote healthy habits. Biometric Smart Sensors — Although rare due to legal issues, some employers are opting for a more personal monitoring approach with smart keycards. These sensors (typically within keycard badges) measure the number of times an employee gets up out of their seat, how often they raise their voice, and exactly where the employee is in the office. Lowered Employee Morale — Generally, people don’t like being watched. Not only does it give off a sense of distrust, but it also decreases morale and is considered invasive. Allowing an employee to only focus on work during work hours oftentimes contributes to employee burnout, leading to high turnover rates. Employees shouldn’t be viewed as machines that are required to focus on work for the entirety of their work shift. It’s important for managers to find an appropriate balance when monitoring employees and to make sure employees aren’t discouraged. Legal Issues — While there are no laws in place that prevent monitoring employees at a private company, legal issues can still arise. It’s essential that employees consent to being monitored. Additionally, some states have specific privacy laws that are worth checking before implementing a solution. For example, California law requires employers to indicate whether they are recording an employee’s work-related calls. Companies with overseas employees also need to consider the privacy laws of other countries. Many countries in Europe, for example, have stricter email monitoring laws. Misleading Reporting — In many cases, websites that are considered inappropriate for work may be necessary for the employee to visit. For example, a social media specialist will have social media websites in their employee monitoring usage reports. Managers will need to differentiate between what websites are truly work-related and what websites are used to waste time at work. Time Tracking Software — Time tracking software enables workers to either passively or manually track the time spent on projects, tasks, and other deliverables. Contact Center Workforce Software — Contact center workforce software allows companies to manage their call center employees’ schedules, activities, and performance. Hi there! Can I help you find the best Employee Monitoring solutions?